I hope you’ve all recovered from your New Years Eve debaucheries. Me, I stayed home with the husband and made surf ‘n turf. Well, he made, I ate! I also hope you were able to take advantage of some of the great end-of-the-year deals. One of our favorite small presses here at Dreadful Tales, Dark Regions Press, offered a 25% off coupon, Scott Nicholson gave away free Kindle copies of his Mystery Dance: Three Novels, and there was plenty of other generosity to take advantage of on New Years Day. Even though the hangovers are gone and it is officially 2012, there are still plenty of digital deals for cheap and even free that you don’t want to miss. 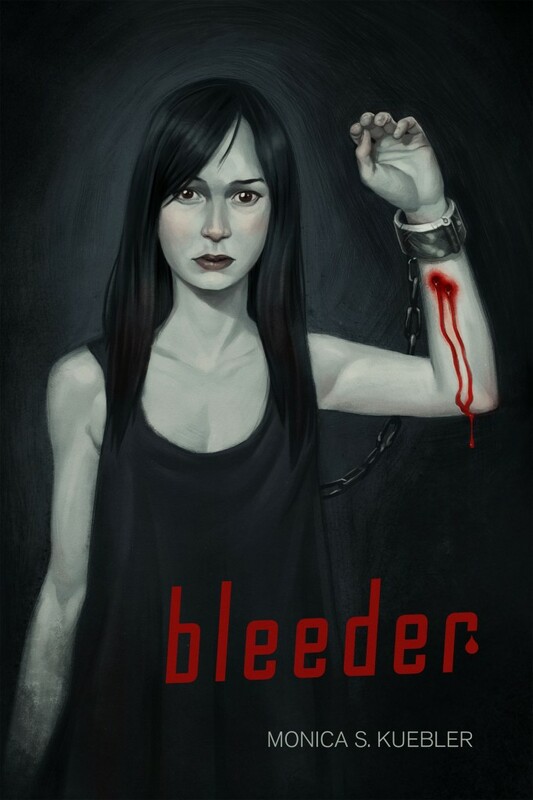 Dreadful Tales had an exclusive sneak peek of Monica S. Kuebler’s (Owner/Editor of Burning Effigy Press, Rue Morgue Magazine’s Managing Editor) YA vampire novel Bleeder in early December and as scheduled the first chapter finally went live yesterday, January 1st! You can check back every Sunday for the latest chapter and watch this dark tale unfold via http://www.bleederbook.com. The stunning cover art and synopsis are certain to steal your cold, black hearts. What if everything you knew about your life was a lie? What if the truth was much, much worse? Mildred “Mills” Millhatten’s life changed forever the day she found out it wasn’t hers at all. Forfeited as retribution for the alleged crimes of a father she’s never met, she’s cast into a strange, vicious world that she didn’t know existed and has little hope of understanding. As a Bleeder – one whose lifeblood feeds the Nosferatu – her continued survival hangs ever in the balance. The creatures are keeping her alive because they believe her blood has mystical properties. Mills fears what will happen when they realize they are wrong – or are they? If she hopes to survive and discover who she truly is, she needs an ally. She needs to befriend a bloodthirsty monster. Because she lives in their world now, and if she doesn’t do something fast, she’s going to die in it too. Click beyond the break for more Bloody Bytes!